Our Monthly worldewide prayer group, talking about human trafficking and all Satan's sacraments. 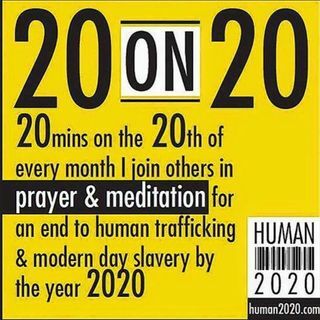 Jesus Bless Zeph Trish and all the 20 on 20 prayer warrior's. what a glorious morning !!!!!!! Love to all , go with Yeshua my friends. I saw Blue Velvet recently. That was quite a movie.